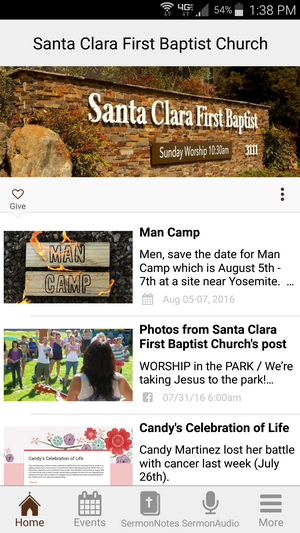 Download the Santa Clara First Baptist Church app for your smartphone. Check out all kinds of content that interests you. You can follow along with the Sermon Notes, listen to previous messages, view upcoming events, watch videos, and get a list of all of our recent social activity.